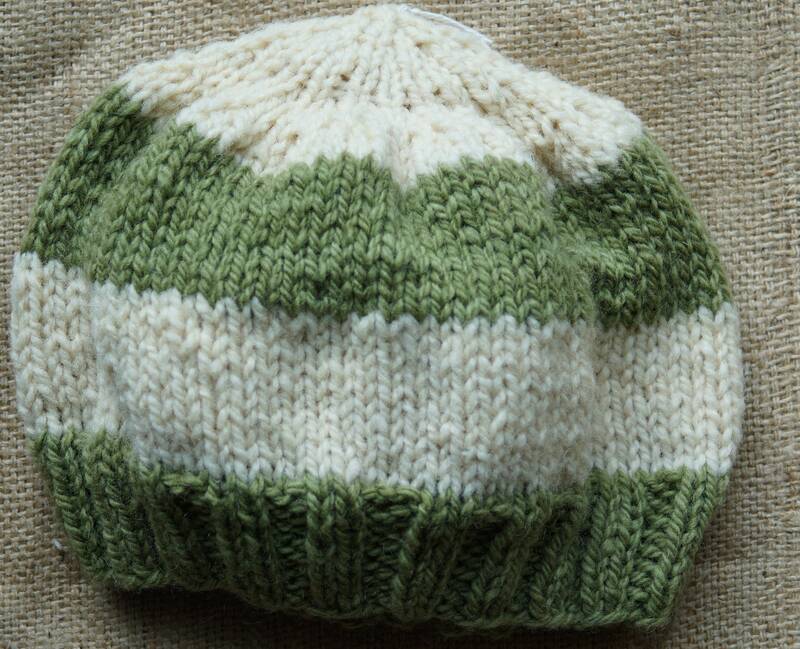 Green & natural white sheep hand knit wool hat from our farm yarn. Color is hand dyed yarn. Hat will fit a large child or small adult 20 inch head. Hat has 1 1/2 inch ribbed cuff and measures 8 inches high.